So.. my friend found this on a random piece of cardboard in an alley..
That's pretty legit... 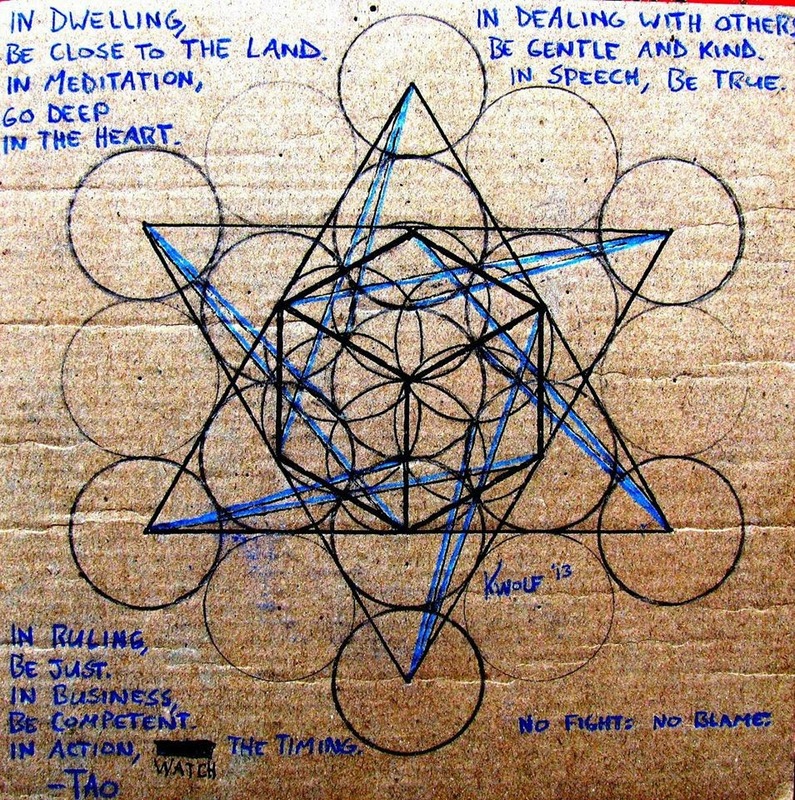 The geometrical structure is called Metatron's cube: It contains all five of the platonic solids. Just in case you were wondering. Metatron being an Enochian archangel, sometimes God's voice. Not to be confused with Megatron, voiced by Frank Welker. NOTE: Sincerest thanks to my friend Xen Nova for the headsup!